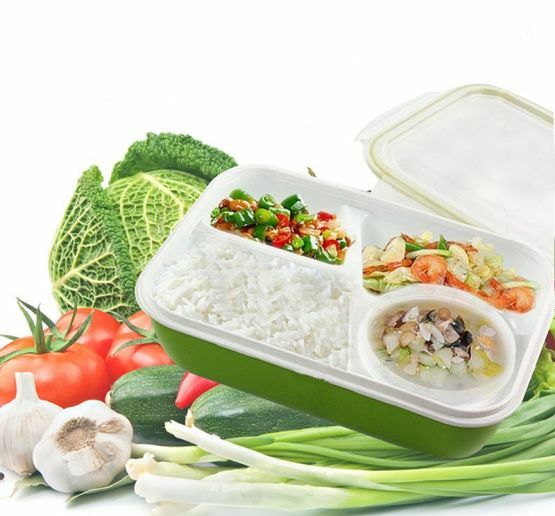 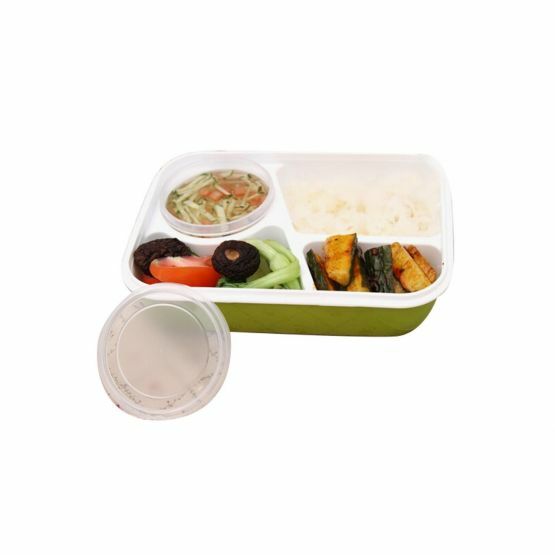 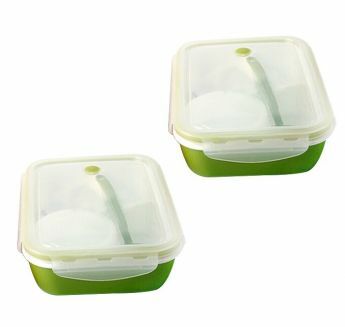 Green insulated lunch box. 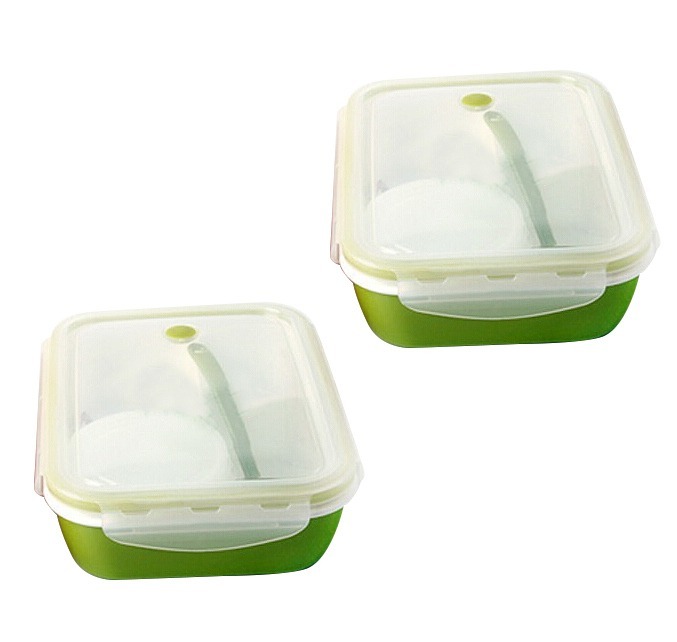 There is a valve for steam output, you can use it in the microwave. 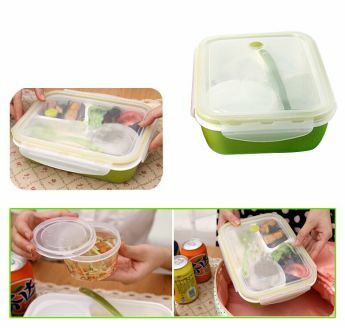 Inside is divided into sections, which will allow you to arrange several types of food at once. 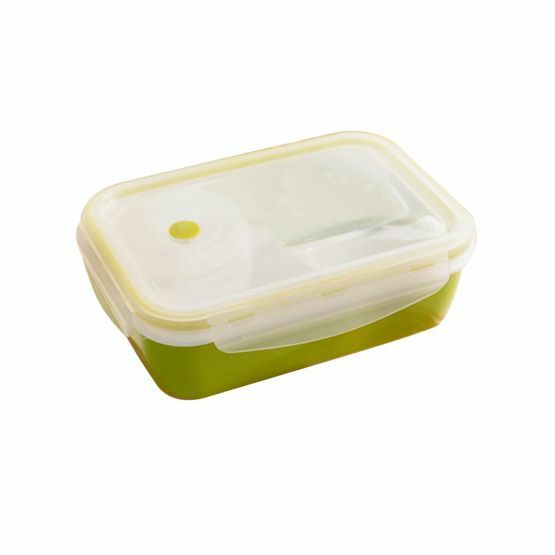 Perfectly suitable for outdoor activities, travel or work. Food-grade plastic.